Out of the Block is about breaking out of social molds and constraints. We felt as though we were sculpting new lives for ourselves and wanted to capture the joy of creativity, the tireless commitment, and the surprises that result from such dedication. Perhaps our creation was something that might only be appreciated years into the future, after acquiring a patina of age, and the perspective of other eyes. This story was an especially important one for us in the early days of our journey in that it captured the spirit of adventure and creativity that helped us to stay focused on our process. 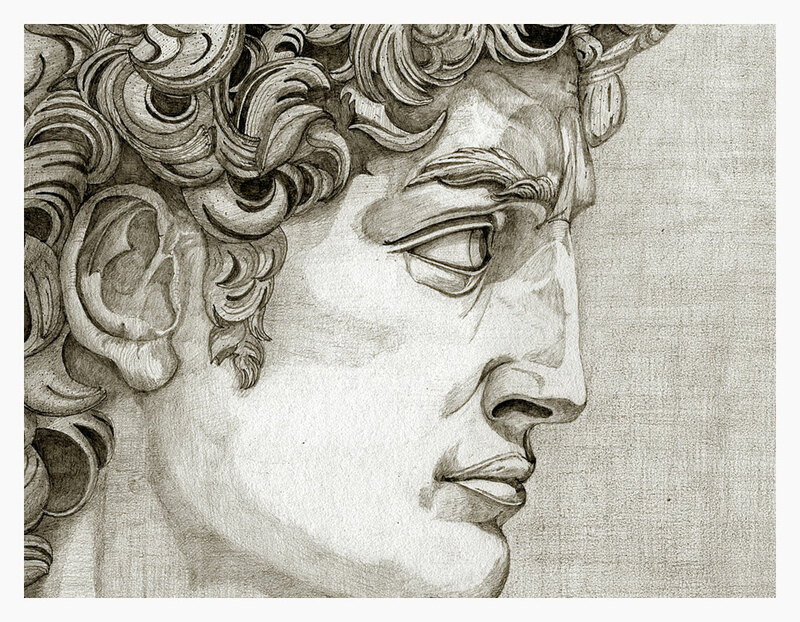 Also, Michelangelo’s “David” is such an incredible symbol of purity and ideals that it provided a striking image for us to focus on. Our partnership began flourishing in Florence, the very city of romance and humanity where the famous figure was sculpted over 500 years ago.